Haya Solutions is Pleased to Announce its Partnership with Oracle-NetSuite | Haya Solutions Inc.
As we are always committed to our customers to offer the state of the state-of-art and robust solutions; we have signed a partnership agreement with Oracle-NetSuite #1 Cloud ERP Worldwide. 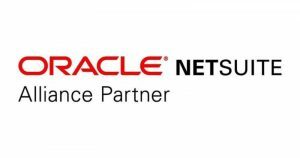 Haya Solutions is Oracle-NetSuite Certified Alliance Partner since June 2018. By including Oracle-NetSuite to our offering portfolio; Haya can extend its scale of its customers to include Enterprise Businesses in addition to offer solutions to more sophisticated business processes.